Think you have a taste for out-of-the-box, unexpected clothing? Maybe you dress as a part of a specific culture, like Harajuku, Gothic looks, or cyberpunk style. However, even if you think your closet is full of the weirdest shoes, clothing, and accessories? Trust us when we tell you, you ain’t seen nothing yet. In this post, we’ll share with you some of the weirdest shoes in the world. Maybe you’ll even decide they deserve a spot in your closet. Especially if you get a strange kind of joy out of watching models fall down on the runways, then you’ve likely already heard about some of the craziest shoes ever: the McQueendillos. 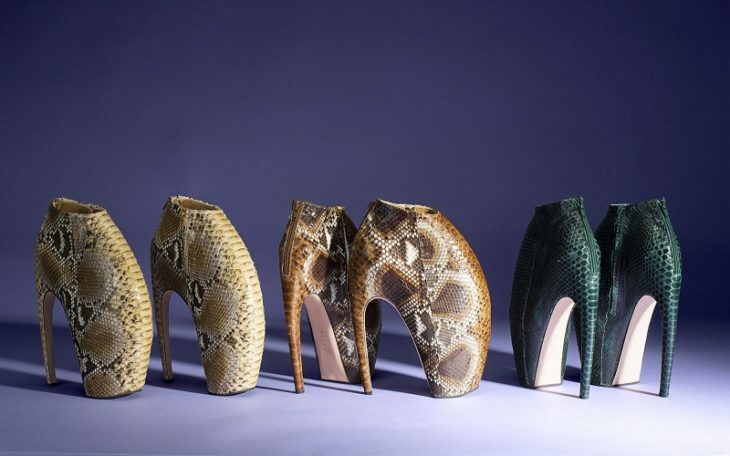 Though first popularized by Lady Gaga, they were a staple of celebrated designer Alexander McQueen’s runway shoes for years before she started wearing them. They’re so named because the texture is a bit like the skin of an armadillo — and so is the shape itself. They have a sky-high heel that’s notoriously difficult to walk in, and a strange, flat toe that makes it even hard to get your balance. They’re certainly not for the faint of heart — for that, stick to basics like ballet flats and badminton shoes. Tired of deciding which pair of shoes will match perfectly with your pants? Don’t worry — you can always rely on one of the weirdest shoes in the world to help you make up your mind. Make like Willow Smith and throw on a pair of high-top pink converse that actually goes all the way up the leg and becomes a pair of pants. We can’t imagine the hassle of having to tie them! Though they might be the perfect choice for the “Whip My Hair” singer, they’re not exactly practical for the rest of us. 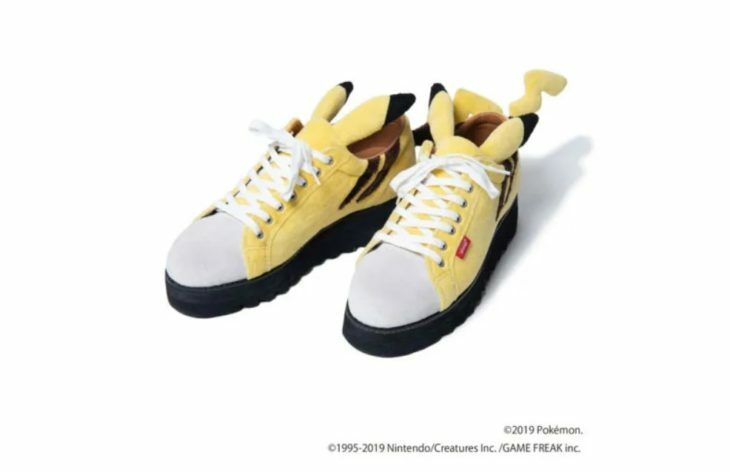 Perfect for when you “Gotta Catch ‘Em All” (and pretty much no other time ever) these Pikachu shoes are likely a dream for Pokemon fans. If you’re ready to take your fandom to the next level, then we suggest you pick up a pair of these, some of the weirdest shoes in the world. We have to say that we think they’d be absolutely perfect for those who want to spend an afternoon playing Pokemon Go. Do Any of the Weirdest Shoes Ever Appeal to You? Whether you can’t imagine yourself ever wearing any of the weirdest shoes on this list, or if you’re ready to click “add to cart” after reading this post, the most important thing to remember is that fashion should be fun. If you like something and think it expresses your personality well, we say you should go for it. Looking for more outlandish fashion? Need to learn how to create a more subtle, polished look for the office or a date night? Keep checking back with us to make sure your hair, fashion, makeup, and of course, your shoes, are always on point.